This means that they won't be taking the FAA's approval at face value. 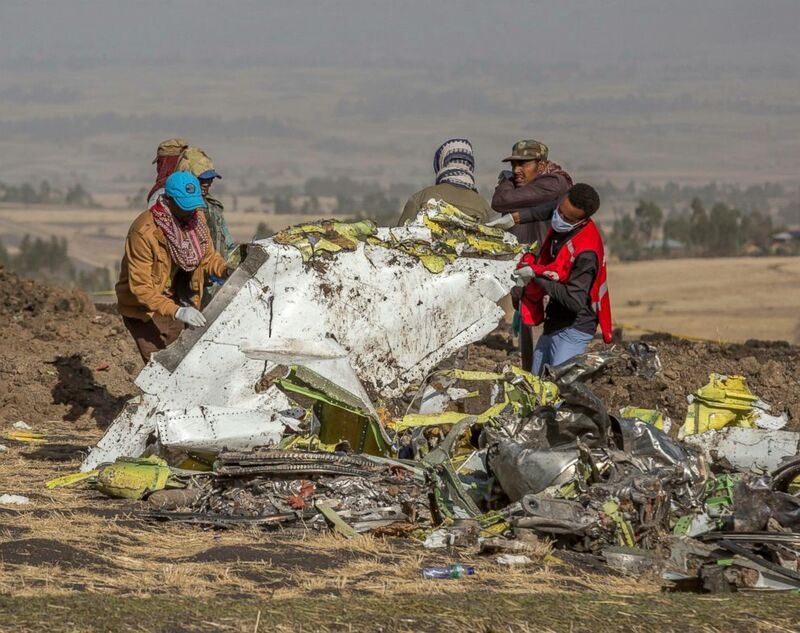 The fallout from the deadly Ethiopian Airlines crash continues to be felt as the European Union announced that they will not allow any Boeing 737 MAX aircraft to fly in their airspace until they approve any changes made. The announcement stipulates that the planes will not be allowed into European airspace until the EU approves any software fixes that are required, making it clear that they will not rely on the Federal Aviation Authority for approval. Patrick Ky, the Executive Director of the EU Aviation Safety Agency (EASA), addressed the European Parliament transport committee Monday, and said that EASA will look at Boeing's upcoming software updates "very deeply, very closely," as well as look at the plane's Maneuvering Characteristics Augmentation System (MCAS). "We will even go back to the architecture of MCAS to look at all the modes and how they are treated onboard the Boeing," Ky said. (Mulugeta Ayene/AP) Rescuers work at the scene of an Ethiopian Airlines flight crash near Bishoftu, south of Addis Ababa, Ethiopia, March 11, 2019. A spokesman says Ethiopian Airlines has grounded all its Boeing 737 Max 8 aircraft as a safety precaution, following the crash of one of its planes in which 157 people were killed. This comes after the Canadian Transport Minister made a similar announcement, saying that Canada will conduct its own review of the software enhancement that is expected to be used to fix the fault in the plane's system. It was also reported Tuesday that Transportation Secretary Elaine Chao has asked the U.S. Inspector General to conduct a formal audit of the certification process that allowed the Boeing 737 MAX 8 aircraft to be put into circulation. The caution surrounding Boeing's new model of plane comes after similarities were found between the two planes that were involved in the Ethiopian Airlines and Lion Air crashes, months apart. Boeing CEO Dennis Muilenburg released a statement Monday, saying that the company is "taking actions to fully ensure the safety of the 737 MAX." "The tragic losses of Ethiopian Airlines Flight 302 and Lion Air Flight 610 affect us all, uniting people and nations in shared grief for all those in mourning," he wrote in the letter. In the letter, Muilenburg noted that "soon we'll release a software update and related pilot training for the 737 MAX that will address concerns discovered in the aftermath of the Lion Air Flight 610 accident." "Work is progressing thoroughly and rapidly to learn more about the Ethiopian Airlines accident and understand the information from the airplane's cockpit voice and flight data recorders," he wrote in the letter.